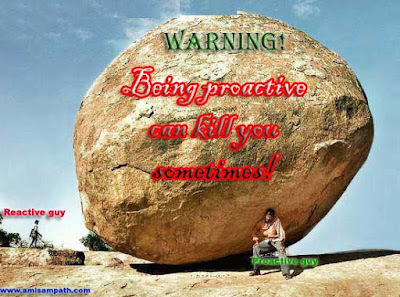 Home / Fun / motivation / Photos / Want to be Proactive? Yes. This is just a funny camera shot taken by someone somewhere! But isn’t there a much deeper interpretation to this picture? May be this is one way of interpreting it. Let the picture do the speaking!